If Duke Ellington and Franklin Roosevelt had a baby, it would look like my dapper Mister Peanut. He has both of their charm, sophistication, persuasiveness, and gregarious personalities. 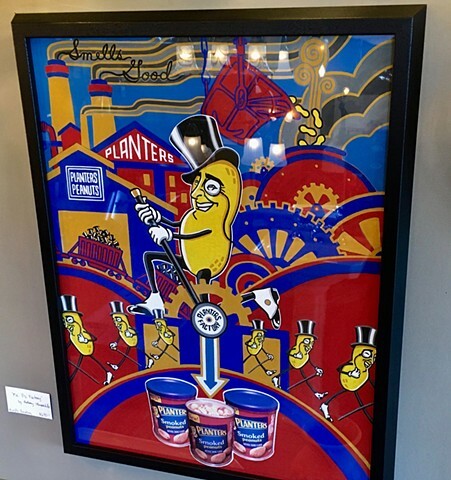 Who wouldnt want my Mister Ps Factory painting for their home Prohibition style speakeasy or game room?